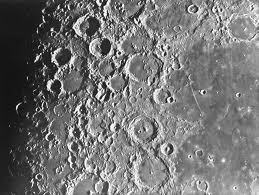 In the previous chapters of our book, we studied the expressions in the Quran that alluded to man’s landing on the moon. One of the most important among the signs is in the first verse of the sura “The Moon” (Qamar). The number of verses to be counted from this verse to the end of the Quran is 1389. The year 1389 in the Muslim calendar corresponds to the year 1969 in the Gregorian calendar. And the year 1969 was the year when man landed on the moon for the first time. 1- The Hour has come closer and the The Moon has split.